In the aftermath of the horrific USA Gymnastics sexual abuse cases, the U.S. Olympic Committee chartered the Center for SafeSport (www.safesport.org) as an independent 501(c)(3) nonprofit organization, to focus on "preventing physical, emotional and sexual abuse in sport." The organization opened its offices in Denver, CO on March 23, 2017, with a mandate from the USOC to implement SafeSport training programs and to adjudicate suspected offenders for all of the USOC's National Governing Bodies (NGBs). 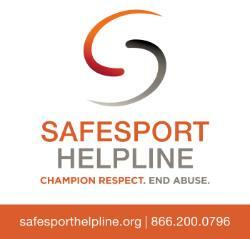 SafeSport's mandate has been approved by Congress and signed into U.S. law. All of the USOC's National Governing Bodies (USATF is the designated NGB for track and field and road running) are working diligently to implement the widely encompassing requirements of the SafeSport legislation. Some of the regulations established either by SafeSport or by the NGBs impose significant new obligations for event directors, including a responsibility to keep SafeSport offenders from participating in road races. While races that serve as a USATF or Association Championships must follow more onerous guidelines, any road race that obtains a USATF sanction must take steps to ensure that none of its volunteers or participants has been banned under SafeSport. What exactly an event needs to do is discussed below, but first, we present an overview of the SafeSport Program. developing disciplinary procedures and maintaining a public list of individuals found to be perpetrators of abuse in the Olympic sports. to provide a safe, professional and confidential place for individuals to report sexual abuse. The relationship between SafeSport and USATF is somewhat similar to the relationship between USADA and USATF for drug testing, in which USADA, an independent agency, conducts and adjudicates drug testing of USATF athletes. Navigating for information about SafeSport policies requires some back and forth between instructions on the USATF site at http://www.usatf.org/About/SafeSport.aspx and resources on the SafeSport site at wwwsafesport.com. All of the materials for taking the test to become SafeSport compliant appear on the SafeSport website. It requires setting up a SafeSport account, designating your NGB sport ("track/field" is how USATF is listed) and having a USATF number. (Non-USATF members who are not members of any other NGB can take the course for a $20.00 fee.) The training consists of fourteen lesson areas including: sexual, physical and emotional misconduct; local and overnight travel; and bullying and harassment. Individuals also must undergo a background check, which is coordinated by the NGB (USATF). Disciplinary Records: This is the heart of SafeSport's attempt to keep abusers out of Olympic and Paralympic sports—a searchable list on the SafeSport website of individuals who currently are being disciplined for SafeSport violations. Searching on "track/field" in the "Sport" search box at https://safesport.org/userviolations/search produces a list of all sanctioned individuals under USATF's jurisdiction. The track and field list can be accessed on USATF's website as well at http://www.usatf.org/About/SafeSport/Disciplinary-Records.aspx.The individuals listed have had information about suspected abuse submitted to SafeSport that has been investigated and found credible before their names are included on the list. SafeSport has a number of categories of offenses based on the nature of the offense and how far along the case is in the adjudication process. Click here for a list of the categories. There are some categories of individuals who have been investigated, but their actions were found not serious enough to merit a suspension. They may have received a "Warning," or been required to undertake an "Educational or Behavioral program," or been placed on "Probation," which means there are no restrictions based on a specified period of good behavior. In these categories, there is no public record of the individuals' names on the "Disciplinary records" list. The categories marked with an "*" on the list linked immediately above are the "Serious Infractions," which have resulted in a ban and publication on the "Disciplinary Records" list. Likewise, these bans are broken down into categories based on the status of the appeals and the length of the ban. "Interim Measure – Restriction," which means the individual has been banned from certain specified—but not all—activities pending final resolution of the matter. "Interim Measure – Suspension," which means the individual "is prohibited from participating in any capacity in any activity or competition authorized by, organized by, or under the auspices of the United States Olympic Committee, the national governing bodies recognized by the USOC, and/or a Local Affiliated Organization of a national governing body recognized by the USOC pending final resolution of the matter." "Suspension," which means the individual "is prohibited from participating in any capacity in any activity or competition authorized by, organized by, or under the auspices of the United States Olympic Committee, the national governing bodies recognized by the USOC, and/or a Local Affiliated Organization of a national governing body recognized by the USOC" for a specific period of time. "Permanently Ineligible:" This is a lifetime ban from all activities as outlined above. Given the differing particulars of each Olympic sport, determining who will be subject to SafeSport certification (which has evolved into the verb, “Safesporting”), and what events must do to comply with SafeSport rules, falls into the laps of the NGB for each Olympic Sport. USATF has dedicated a staff member, Madeleine Vala (madeleine.vala@usaft.org/317-713-4688), as its "SafeSport Administrator." Madeleine provided RRM with an overview of how USATF will implement SafeSport regulations. What Do Individual USATF Members Need to Do? USATF currently requires members of the following groups to be USATF 3-step SafeSport compliant: National Office Staff, Board of Directors, registered coaches, certified officials, authorized agents, National Team staff, National Committee Chairs, Association leadership, Youth Committee members, Athletes Advisory Committee (AAC) Members, AAC Event Leaders, all meet volunteers in an official capacity, Youth Camp staff, vendors with access to athletes, and all RunJumpThrow event organizers. Once all of these criteria are met, the individual's name will appear on USATF's SafeSport Compliance list at http://www.usatf.org/Resources-for---/Coaches/Coaches-Registry/Coaches-Registry.aspx?aliaspath=%2fResources-for---%2fCoaches%2fCoaches-Registry%2fCoaches-Registry. This is the list event organizers should consult to determine if individuals have completed the training and background check. 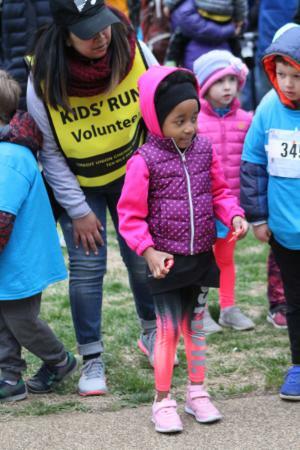 What Do USATF Sanctioned Events Need to Do for Event Officials and Volunteers? Category 1: If the event is a USATF or Association event, or is under USATF or Association control, then the USATF 3-step SafeSport “compliance” is required from everyone who is in an authoritative/official capacity at the event. Examples: USATF championship events like Indoor/Outdoor Championships, or an Association Championship. If vendors are being used, the vendor SafeSport language available on the USATF website should be used in vendor agreements. Category 2: If the event is a USATF or Association event done in conjunction with an already existing non-USATF owned event (USATF/the Association is piggy-backing an existing independent event), then USATF 3-step SafeSport “compliance" is required for all individuals who are working in any areas designated for USATF athletes as well as member-only areas. Examples: USATF Championships in conjunction with non-USATF owned events such as the Peachtree Road Race, owned by the Atlanta Track Club and site of the 2018 USATF 10K championship, and the Twin Cities 10 Mile, owned by Twin Cities in Motion and site of the 2018 USATF 10 Mile Championship, etc. If vendors are being used, the vendor SafeSport language available on the USATF website should be used in those vendor agreements. Category 3: If the event is not a USATF or Association event or is not under USATF or Association control, but is a USATF-sanctioned event, then the manner to obtain SafeSport compliance is through acknowledging USATF’s SafeSport policies in the sanction application and complying with same. The event directors of Category 3 events must have protocols in place to ensure the event volunteers and meet workers are not a danger to athletes, and that no participant is a danger to volunteers or other participants. Although [USATF] encourage[s] use of the USATF 3-step SafeSport “compliance” system, an event director does not have to use this specific protocol for Category 3 events in order to comply (e.g. no USATF membership requirement or USATF background screen). 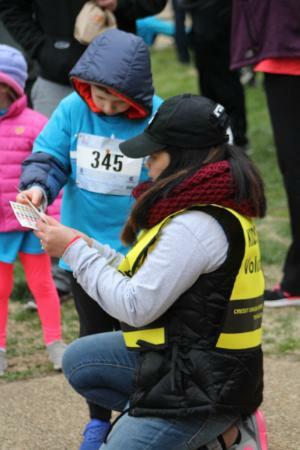 However, it’s important for all event directors to know that SafeSport is federal legislation, and event directors must still have a similar vetting system and educational component in place for event workers to ensure the safety of athletes and to comply with USATF requirements and federal law. Category 3 events are not exempt from complying with SafeSport, but how the event director decides to comply with SafeSport can be different from the requirements of the USATF 3-step SafeSport compliance system. Examples: All other USATF sanctioned events that do not fall into Categories 1 and 2. USATF is actively exploring mechanisms to help event organizers comply with SafeSport requirements. In particular, USATF is looking at creating a SafeSport Volunteer Waiver for those volunteers who have infrequent contact with athletes, are not in a position of authority, and volunteer in an observable and interruptible distance from others. USATF is working to develop a waiver process that could be enacted that would provide some flexibility to event organizers, but under certain specific parameters. Assuming USATF receives all necessary approvals, it hopes to implement this waiver in 2019. Not all USATF Members currently have to have a background screen and SafeSport training, but if that individual would like to have access to athletes as part of his or her role within USATF (e.g. as a coach, official, volunteer leader, etc), then that member would be required to submit to a background screen as well as successfully complete SafeSport training before having contact with athletes. What Do Events Need to Do for Their Participants? As outlined on USATF's "disciplinary page" (http://www.usatf.org/About/SafeSport/Disciplinary-Records.aspx) banned individuals are prohibited from participating in any capacity in any activity or competition authorized by, organized by, sanctioned by, or under the auspices of USATF or the USOC, the national governing bodies recognized by the USOC, and/or any Local Affiliated Organizations of a national governing body recognized by USATF and/or the USOC (including any USATF associations and clubs). This means event directors would be required to vet all of their participants against the USATF Discipline list and prohibit any banned individuals from running in their events. Vala told RRM, "We understand the reach this language has; however, this language is intentional, and I hope you can understand that USATF, along with the USOC, has an obligation to protect our athletes and the integrity of the sport. The Center has the authority and jurisdiction to discipline individuals who[m] they deem could be a danger to athletes, and USATF has an obligation to abide by and enforce those decisions. If an event director becomes aware or learns of a banned individual at his/her event, then the event director must take action to remove that individual from the premises." I undertook a review of the lottery entrants for the 2019 Credit Union Cherry Blossom and found numerous name matches with names on the SafeSport Disciplinary list, but with only first and last names on the SafeSport list there was no way I could positively identify these individuals as the same ones on the SafeSport list. (I would at least need the DOBs and hometowns at a minimum.) This makes it more than likely that if I unilaterally banned these individuals, I would be opening up a can of worms. I called this to the attention of both SafeSport and USATF. SafeSport said that they appreciated the feedback, and USATF's Vala said, "We are aware of the concern event directors have regarding how to know who is a banned individual at their event, and we are working internally as well as with third parties to create a solution for this." Clearly implementation and enforcement of the ban remains a work in progress. Phil Stewart is the President of Road Race Management; Co- author of "Organizing Running Events"; Director of the Credit Union Cherry Blossom Ten Mile; Vice-President of PRRO; and a Race Announcer for many prominent national events. Next Article: SIDEBAR: How Does Safesport Apply to the RRCA? before emailing the digital edition to non-members.